← Some of my best (white) friends use racist language!!! Which brings us to Carmelo Anthony…or rather, to speculation over whether Carmelo’s future includes the Knicks. I’ll get my uneducated, worthless guess out of the way: I think Melo opts out of his contract after next season and re-ups with the Knicks for $30M more than anyone else can pay him. I don’t think he’s going to go to LA for a front row seat to Kobe’s sunset. I don’t think he’s gonna join Lebron there, or anywhere, unless the Heat trade Wade and sign Melo, in which case expect a marauding army of righteously blasphemed Knick fans to march en masse from Manhattan to Miami and launch the mother of all jihads against the unholy South Beach trinity of Mickey Arison, Pat Riley, and the (unholy) ghost of P.J. Brown. Melo’s gonna stay for one reason—33 million, actually. I don’t have a problem with Melo opting out and re-upping for every last dollar. I’m looking for a new job myself. I’ve done a lot of gigs in my life for reasons other than the pay. I’m tired of that. 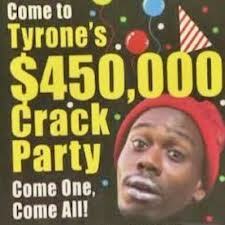 I’m looking to get paid. True, I haven’t already made $113,000,000 like Melo has…but I understand. The man has one more prime payday coming to him for the rest of his life, and it’s the next one. Plus, the Knicks are, for better or worse—well, let’s face it: for worse—corporate down to their effin’ marrow. Everything the Dolan Knicks do is with an eye on the bottom line…and that line ain’t a championship. Since Lucky Sperm Jimmy took the throne, it’s never been about a championship. Our culture is one of the reasons I won’t trade Dirk. When you turn your team upside down and try to figure out what the culture of the team is, you take the greatest risk a team can take. Dirk sets the tone for our team. He works as hard, if not harder than anyone. He helps our younger players understand what he expects and what they need to do to excel. On the court he is selfless. He would rather not have to score a point if we would win the game any way. He would rather pass the ball and let anyone else score than be forced to take the shot. Until it’s the time of the game where we need a point. Then he is ready to step up as often as we need it. But he knows, that his impact on a game is far more important than any averages or what appears in the box score. That mindset. That selflessness. His work ethic is something I want to be in place long after he has retired. But to do that we have to transition with him, not in a void. That last line is the reason why even though I’m not sure Melo can ever lead a team to a title, it’s better to fail with him than without him. Whether he opts out or leaves in a year, a guy like Iman Shumpert will learn things losing in the 2nd round with Melo that he wouldn’t learn during a rebuilding. Samuel Beckett’s advice for writers was “fail better.” It’s good advice for all of us. Having said that: virtually everyone of consequence on the Knicks is where they are for one reason, the reason that’s the answer to 99 questions out of 100. Money. Carmelo could have waited a few months and joined the Knicks as a free agent. Brad Richards of the NY Rangers, also a Dolan fiefdom, faced the same predicament as Melo the following year. Richards refused to be traded to NY because the Rangers would have traded so much to get him he would have been joining a diluted team. Instead Richards waited, signed with NY the following off-season, and helped lead them to their best season in 15 years, 2 wins shy of the Stanley Cup Finals. Melo came to the Knicks after they traded half the roster and gave him every penny possible under the now-extinct CBA. A comparison: the Rangers won 10 playoff games the year Richards arrived. In the 3 years since Melo arrived, the Knicks have won 7 playoff games. Total. Again, I understand Melo looking out for #1. Can’t blame an individual for putting himself first. But when you talk about titles all the time, and you’re the team’s best player, it’s hard to see that kind of behavior and that kind of talk jiving with each other. All the Knicks are this way, though. Tyson Chandler is in NY for one reason: he makes more money than he could anywhere else. Amar’e was offered 3 years and $60M by the only team he’d ever known. Nope. He came to the Knicks, for one reason. $$$. Mike Woodson fired his agent because Dolan told him he had to if he wanted the head coaching job. I don’t wanna get all Pollyanna, but I’m guessing Coach Woody always talking about this guy needs to sacrifice, that guy needs to sacrifice, we gotta do what’s best for each other and not ourselves, blah blah blah, might ring hollow to a locker room full of men who know you just pulled a Pachanga on Carlito Brigante…or a Benny Blanco on Pachanga. You can argue the Knicks are no worse off without Jeremy Lin than they would have been with him instead of Raymond Felton. But the reason Lin is in Houston has nothing to do with his game. It had to do with the Knicks telling him to go out and shop the marketplace, and Dolan growing irate when someone out there made Lin an offer he couldn’t refuse. When Dolan screws over the fans by blocking out MSG ‘cuz he’s bickering with another billionaire’s company (Time Warner) over how to divide further millions, fairness isn’t a consideration. The bottom line is. Even when Linsanity catalyzed the end of the Cablevision/Time Warner dispute…even when Linsanity single-handedly brought Dolan’s coffers tens of millions of dollars in ratings and rising stock values, and brought the Knicks from a sub-.500 team to playoff contention…the only thing that mattered was the bottom line. Dolan’s bottom line. Period. Sadly, I’m not sure any of this even matters anymore. The Knicks are made in Dolan’s image. There were stories after Jason Kidd retired that one reason he left two years and $6M on the table was he felt the Knicks were too big and too corporate to ever seriously contend for the title. To be fair, leaving the Knicks because of their corporateness and joining up with the Dr. No Nyets is like your sister telling you she’s leaving her pig of a boyfriend to go out with A-Rod. Still, I look at Cuban’s comments, and I can’t imagine Dolan or anyone else ever saying that about Melo, or any Knick team under Dolan. 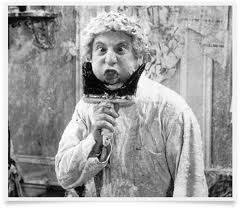 Then again, Dolan talks less often than Harpo Marx, so it’s hard to imagine him saying anything, period. I think of Indiana and Chicago, two teams that are no more talented than the Knicks but who have way more of a feel of unity to them (to be fair, this is the first year in a looong time the Knicks’ roster is relatively stable from last year, so maybe that will help in the unity department. Also, IND and CHI have legit to elite head coaches. Mike Woodson? Not elite. Not legit. But when his boss says “Jump,” Woody says “How high? And hey! Would you like me to land on my ex-agent’s spine?”). Worst of all, Miami, however hateworthy people find them, is Miami because their best players took slightly less than they could have gotten elsewhere to play together. Yes, taking a few less million when you’re getting over $100M is hardly the stuff of heroes. But there’s a big difference between taking slightly less than you can get and insisting on every last penny possible. Like I said: no one watches the Knicks ‘cuz they’re title-or-bust. Last season was the most fun they’ve been to watch since beating the Heat in 2000. As I wrote in a prior blog, some years you watch your team for the forest, and some years you watch for the trees. I thought the Knicks went about as far as they could have last year. I think they’ve been snakebit by late-season injuries the past three years (2011: Billups & STAT; 2012: Lin/Shump/STAT KO’d by a fire extinguisher case; 2013: Melo’s shoulder/Tyson’s neck/STAT’s…well, STAT’s STAT); with a little luck this year—say, Roy Hibbert, Lebron, and Derrick Rose all involved in the same 3-car pile-up at the All-Star break that knocks them out the rest of the season—I think they could win it all. I think they have a puncher’s chance, and it’s been a long time since you could say that about the Knicks. But God, at this point I’d trade Dolan for Jerome James, Howard Eisley, John Starks’ Game 7 stat line, Patrick Ewing’s predictions, a Bill Cartwright elbow to the head, and Tyrone Biggums’ Fear Factor leftovers.